Brinjals or eggplants were one vegetable I couldn’t be bothered to eat as a kid. In order to avoid being force fed, I would often say I’m allergic to them, which wasn’t entirely fibbing because quite a few eggplant varieties (and some other nightshades like tomatoes) cause itching sensations in my mouth and throat when I eat them. 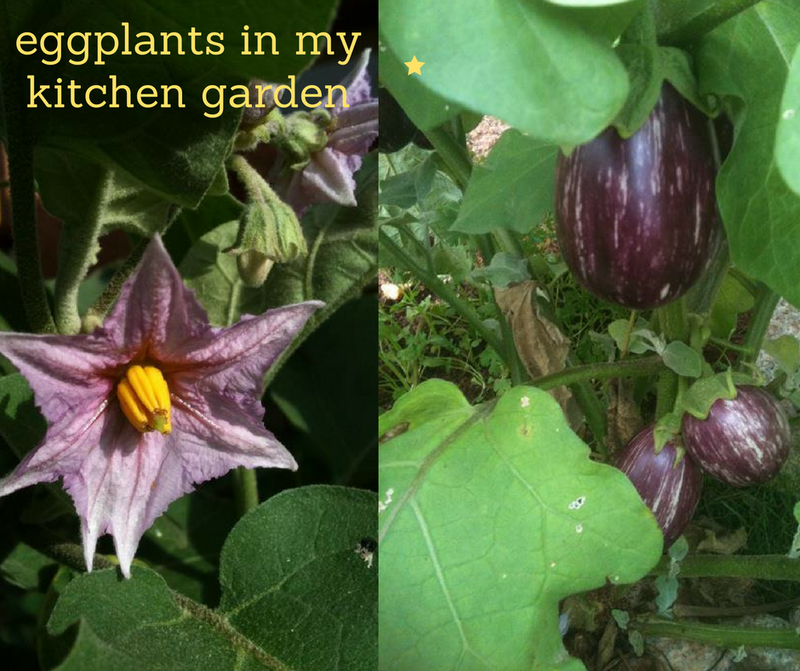 But, when these eggplants make themselves at home in your kitchen garden, there’s no option but to like them. For some reason, this was the first vegetable to grow in abundance in my kitchen garden. At one point, I was growing mad not knowing what to do with all of them. 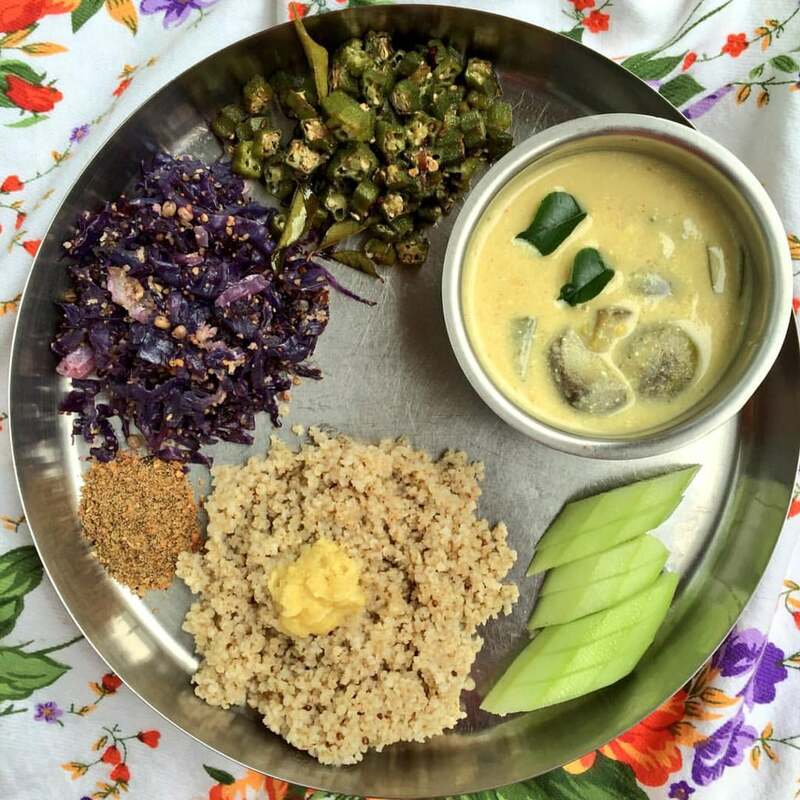 This recipe is adapted from Meenakshi Ammal’s Samaithu Paar (Cook and See). Whenever I flip through this book, I end up finding a recipe that I want to try. This Varutharacha Mor Kuzhambu was one of them (varuthu-aracha means fried and ground in Tamil) . 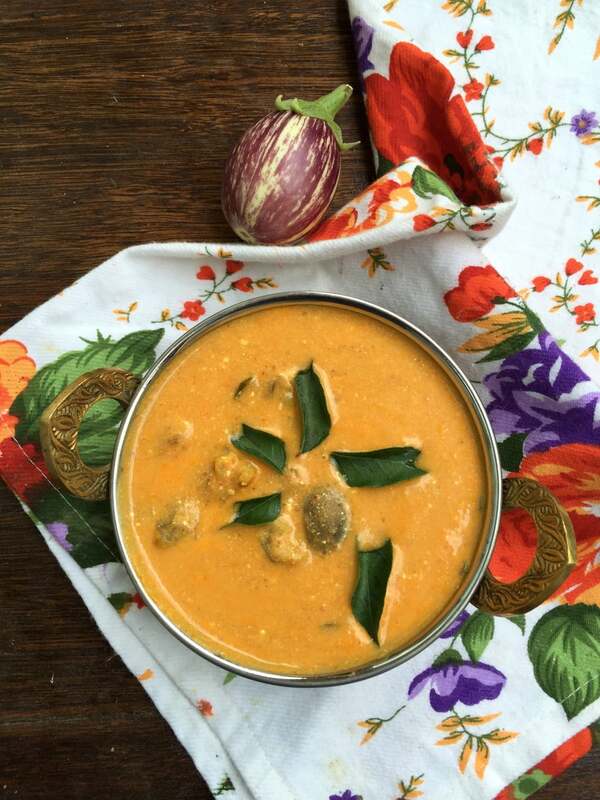 Mor Kuzhambu is the Tamil version of a ‘kadhi’ made using yogurt that has seen better days gone sour. 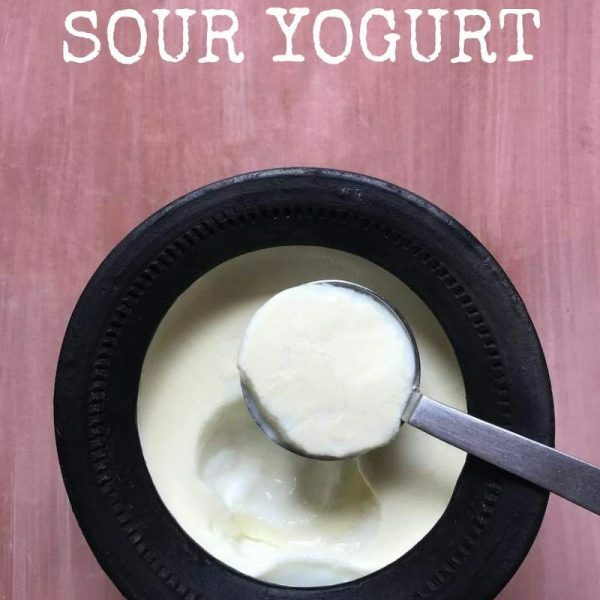 I’m assuming the origin of such dishes in Indian cuisine lies in the fact that, in those days, there was no refrigeration and Indians being quite adept at not wasting food, the old yogurt or buttermilk would be used up in such dishes. There are at least 2 kinds of mor kuzhambu. 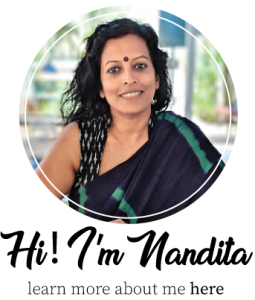 One way to prepare it is to just grind raw ingredients, that have been soaked in water, along with fresh coconut, and the other is to fry the ingredients such as red chillies, fenugreek seeds, urad dal etc. and then grind them to a paste along with coconut. 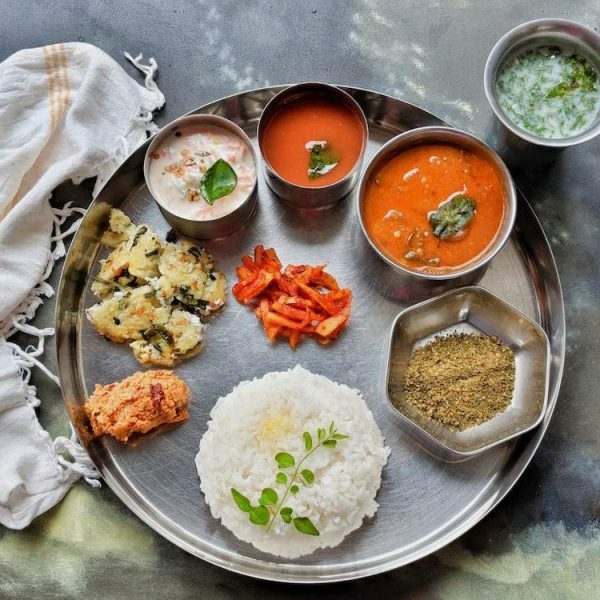 This recipe combines both methods, where a few ingredients are soaked in water, the rest fried and then all combined with coconut and ground to a paste. 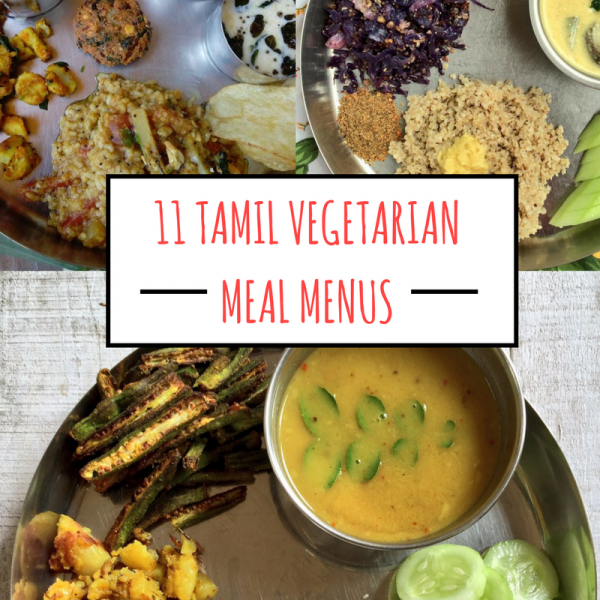 If you don’t care for brinjals much (like my younger self), the other vegetables that can be used in this recipe are fried bhindi, arbi, boiled pumpkin (both white and yellow), drumsticks etc. 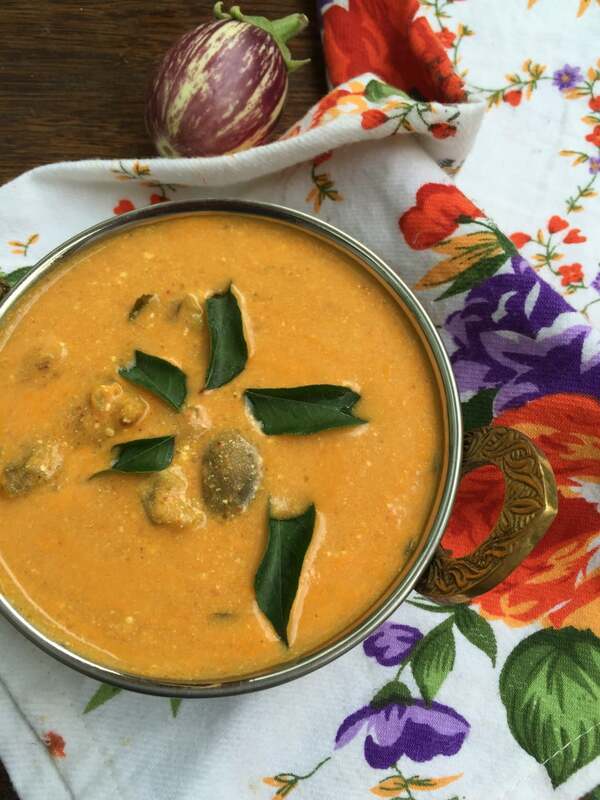 This recipe adapted from Meenakshi Ammal's Samaithu Paar (Cook and See) is now one of my favourite ways to prepare Mor Kuzhambu, which is our version of kadhi made without besan. In a small cup, soak tur dal, chana dal and rice in sufficient water. Keep aside for 30 minutes. Prep the brinjals and chop into quarters. In a pan, heat oil, add brinjals and stir for a minute. Add tamarind paste, turmeric, salt and water. Cover and cook until the brinjals are soft. In a pan, heat 1 tsp oil, add red chillies, fenugreek seeds and udad dal. Fry until the dal is golden brown. In a mixer, grind the fried ingredients, the soaked dal-rice mixture (after draining water) and coconut, to a fine paste using xbd cup water. Whisk the yogurt with 1.5 cups of water and the freshly ground masala paste. Season with required salt and add to the pan with the cooked brinjals. Bring this to a simmer. Allow this to simmer for 5 minutes until the moar kozhambu is thickened. 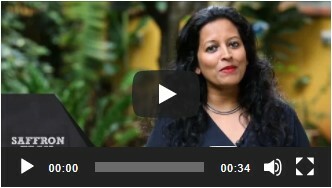 Love Brinjals / Eggplants? 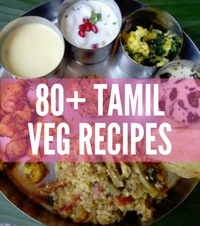 I have lots more recipes for you - from salads, to curries to dips. Take a look. Please correct the typo. udad – urad. Udad? Never heard of em! 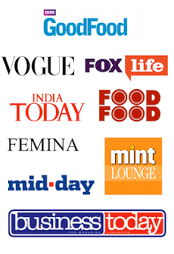 can you give me a link or something so i can verify its same as urad please? 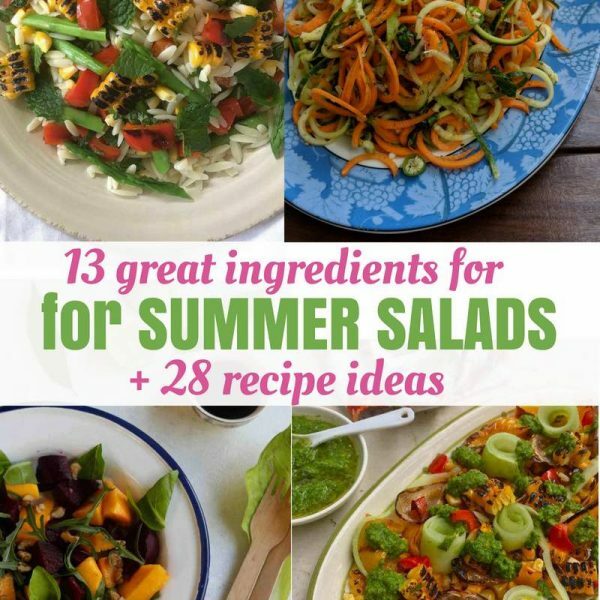 I love eggplant and would love to try this recipe. So a bit confused… what’s xbc and xbd?